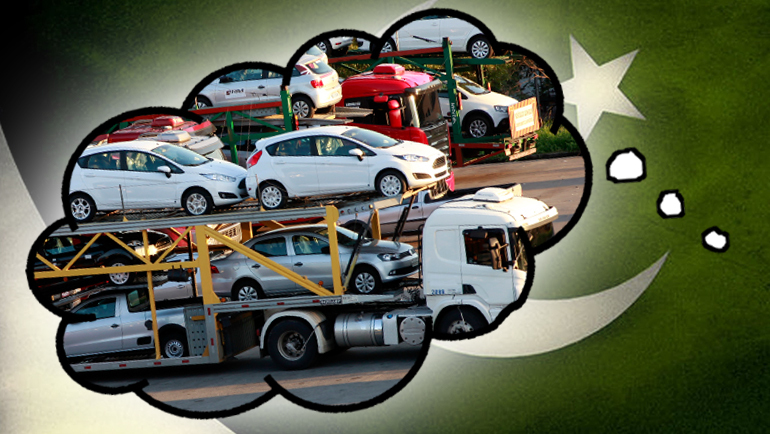 Back in August, PakWheels published an article, which revealed the plans of Dewan Farooque Motors to make a return as an automotive manufacturer in Pakistan, after many years of silence. In that article, it was mentioned that Dewan Farooque Motors has expressed its interest in locally producing cars of Daehan, SsangYong and KIA to the Board of Investment (BOI) and Engineering Development Board (EDB). 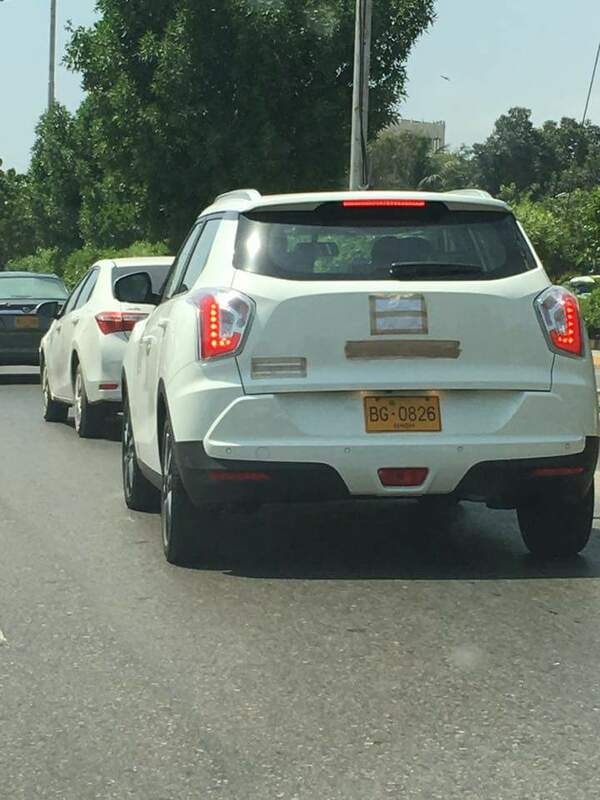 Now after just forty or so days, we can see those reports taking shape, as a fellow PakWheels.com Community Member has spotted a mule being tested in Karachi, which appears to be a SsangYong Tivoli. To start off, Tivoli is a subcompact crossover, which first launched in 2015. It is among SsangYong’s latest product offerings. As of now, its assembly only takes place in South Korea but seeing Dewan’s seriousness in coming back as an “auto-manufacturer” and the Auto Development Policy of 2016-21, encouraging new auto brands, Tivoli’s production in Pakistan may not be out of the question. Under the hood, Tivoli across the globe, is available with an option of either petrol or a diesel 1.6-liter engine mated to either a 6-speed manual or a 6-speed AISIN automatic transmission. SsangYong, which was operated by Ghandhara Industries Limited, has been a part of Pakistani automotive circle in the past, without much commercial success with cars like the Rexton and Stavic. 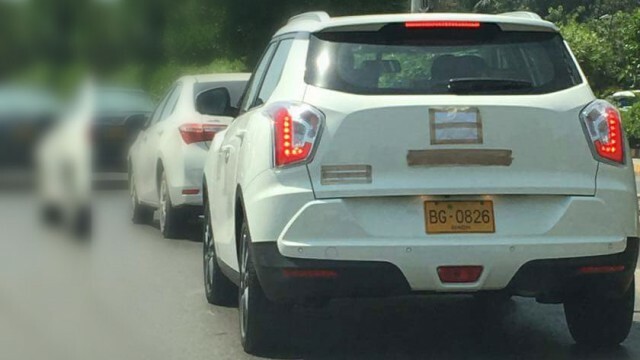 Seeing the past failure of SsangYong in Pakistan, it will be interesting to see how it performs on its return under a brand new joint venture. To wrap up, I think if Dewan Farooque Motors could somehow manage to launch Tivoli with a price tag of under PKR 2 million, it has what it takes to disrupt the current stakeholders of that price bracket! What is your take on this matter? Let us know in the comments below! I seriously doubt about ssangyong because it is owned by the Indian car maker Mahindra. Considering the prevailing situations between the two neighbours, the chances are quite bleak. Hope the situation gets better! The chances are high after you spot a test mule, lets hope for the best! Please ask your member how did the engine sound? Is it vewy vewy quiiit or sounds more like a diesel? It will be a complete failure, people in Pakistan don’t like unbranded stuff. It can never taker over the likes of Toyota Honda suzuki. Spare parts would be a problem and finding a mecahnic even worse. The big three should increase their vehicle line up. New brands are not required as Pakistan is not a developed country. If it’s around 1.2 million then it might work because for a car without a trunk no one would pay more then this. If it finds its way to Pakistan, then I’m happy too…Let’s hope for the best!! You know everyone in pakistan is always excited about new cars brand/model in Pakistan when looking at the features off internet. But when it comes here half of them are gone and the price is 2X due to customs. Just a example to make here is … a new merc CLA is a 3Mil PKR car in the world where as in pak .. nevermind! In India base Model 2016 Retail price is 9 Lacks (1575346.76 Pak Rupee) where as Top Modle in 13 (2047950.78 Pak Rupee) now include kickbacks for corrupt Leaders & bureaucrats also Having in view small market as compare to India. Yes, you’re right. 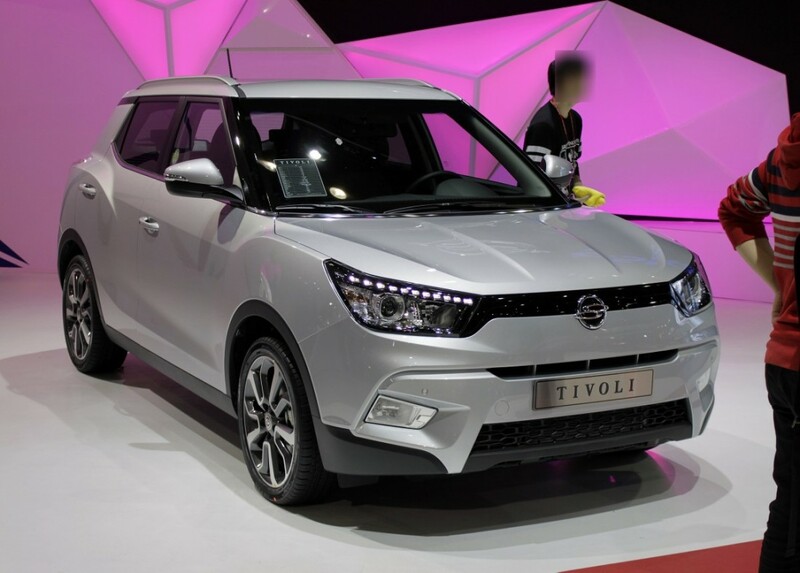 You can buy 2 Tivoli in the price of one BMW X1! It would be manufactured in Pakistan, price won’t be that high. So you’re trying to prove that India is much more developed country than Pakistan. Other than Suzuki and local brands, they have Nissan, Skoda, Renault, VW and Fiat. And this is a crossover, if Pakistanis can buy a Honda Vezel for 3 Million + then they would definitely buy it for 1.5 – 20 M.
Even if the big three launch new cars, they would be very expensive with worst quality, take Coure, Swift and Wagoner as an example. All expensive parts are imported and lux custom s paid … Today Honda Civic Costs 19K USD if taxes are not paid to gov… ! Believe me! I’m sorry but I would like to clarify that this model was never on sale in India. Auto shows do not sell cars. Marketing strategy does. And the marketing strategy of all car sellers in Pakistan has been pathetic. They have failed due to their own stupidity, not due to the customers’ stupidity. we all know what these wars are inspired by … in short , just understand that money talks and all the stupid wars and killings , just to fund some lobby or the other. please supply cheap cars to us. i would be very interested in university student – affordable cars ! under 2 million would be a BEAST price ! Small 4-doors SUVs are the need of the day. Cue the Toyota Cami and Pajero Pinin of the world! Tivoli sounds similar to Tripoli. Why the hell Pakistan launching an Indian made car. Ssangyong in owned by Mahindra & Mahindra group of India.. Google it..
Kindly let me know when they are officially launching it?